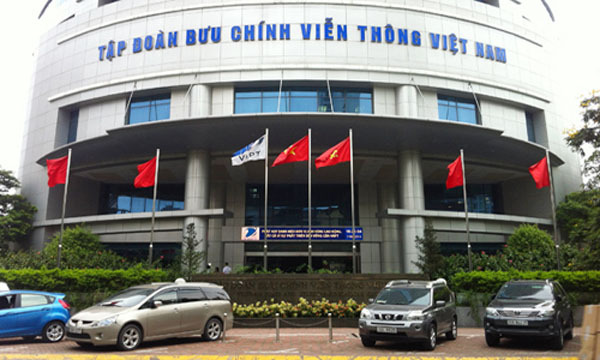 VietNamNet Bridge – According to the latest report of the Ministry of Information and Communication, Viettel’s revenue this year is 1.5 times higher than that of both the Vietnam Post and Telecommunications Group (VNPT), which owns VinaPhone and MobiFone. Specifically, VNPT earned revenue of about VND101,055 billion ($4.81 billion), profit of VND6,310 billion (over $300 million), up 12% compared with 2013. By the end of 2014, VNPT had total subscribers of 30.5 million, including 26 million mobile subscribers. The number of new mobile subscribers of VinaPhone in 2014 reached 8.8 million and the number of broadband internet and IPTV subscribers were over three million and about one million, respectively. MobiFone Telecommunications Corporation, which was split from VNPT later this year, obtained revenue of VND36,605 billion ($1.84 billion), down 7.3% compared to 2013. Its pre-tax profit is estimated at VND7,300 billion ($347.6 million), up 5.2%. MobiFone’s number of subscribers reached 40.2 million, including $1 million new suscribers. 2014 is considered an important milestone for MobiFone as it was officially separated from VNPT to become a corporation under the management of the Ministry of Information and Communications. Viettel gained the best business results among mobile network operations in Vietnam with revenue of VND196,650 billion ($9.36 billion), up 20% compared with 2013. Its pre-tax profit is VND31,459 billion ($1.49 billion), up 15%. By the end of 2014, Viettel had 57.4 million subscribers, including 55.5 million mobile service users. It also had 17.5 million mobile subscribers in overseas markets, including 815,000 fixed phone subscribers.